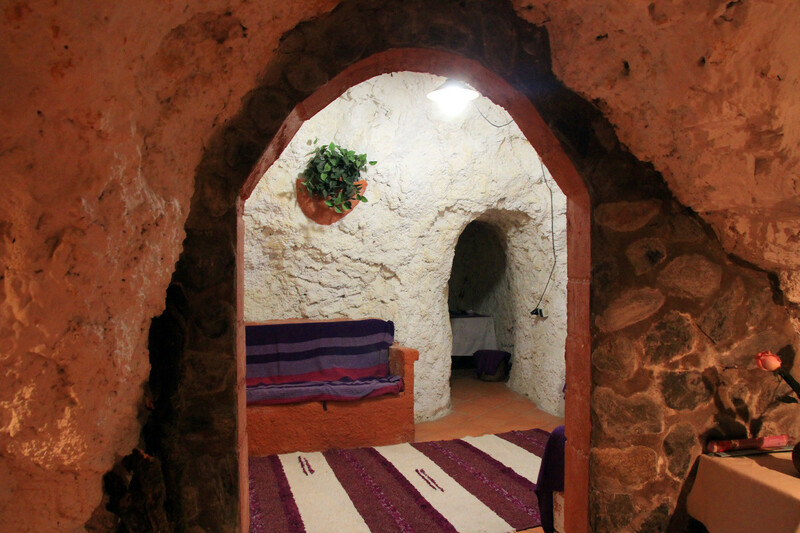 This country / cave house is situated in Cozvjiar and has a big rural house with a big living room, a fully equiped kitchen and a beautiful bathroom on the ground floor. 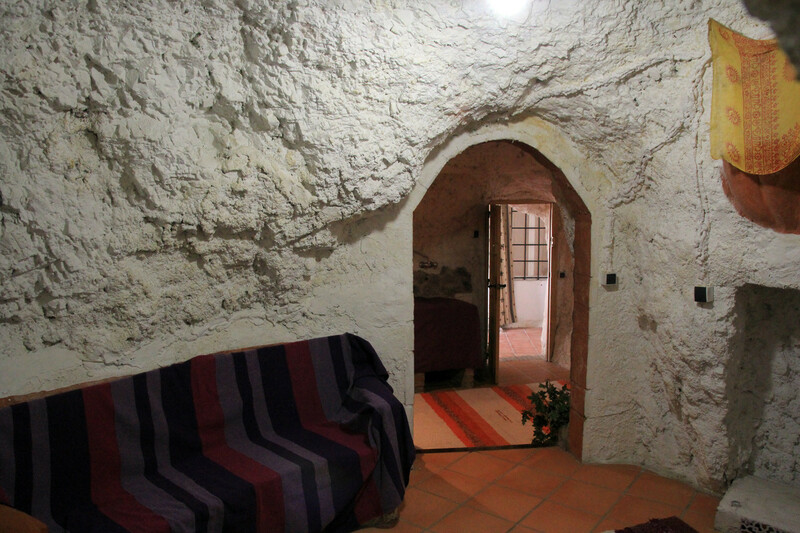 On the first floor are 3 double bedrooms and the access to the cave which has also three bedrooms, a bathroom with the original rock wall and a living room. 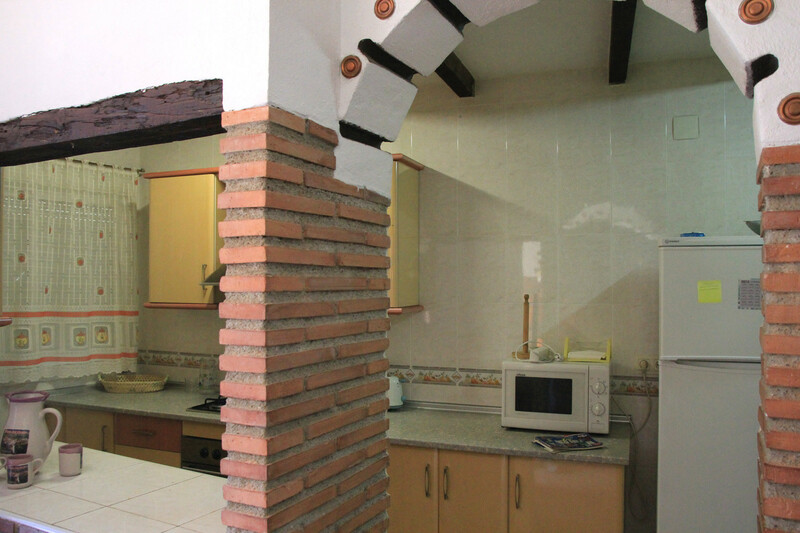 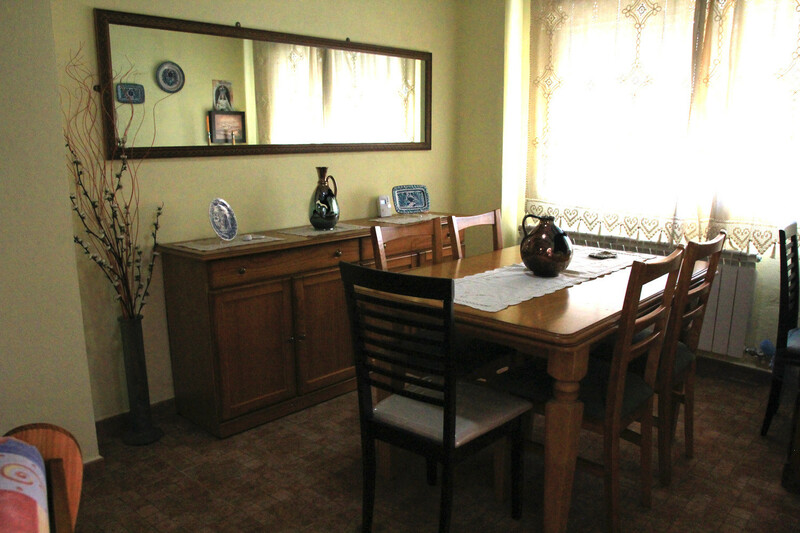 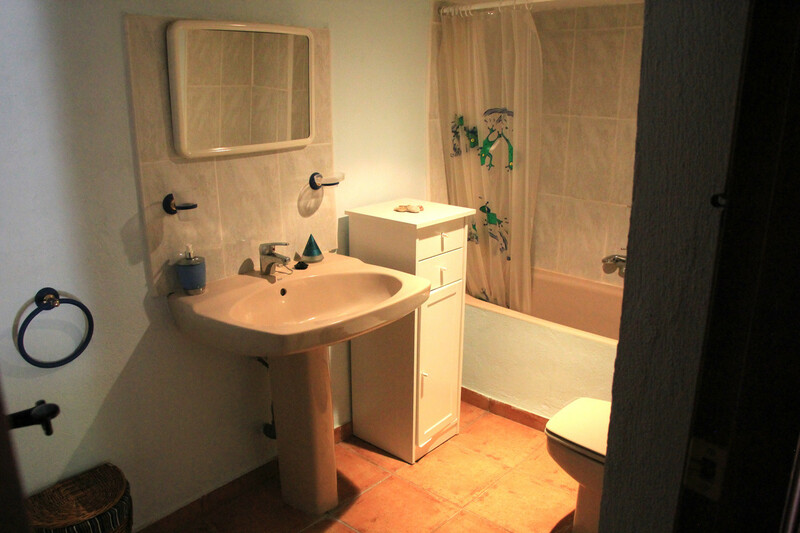 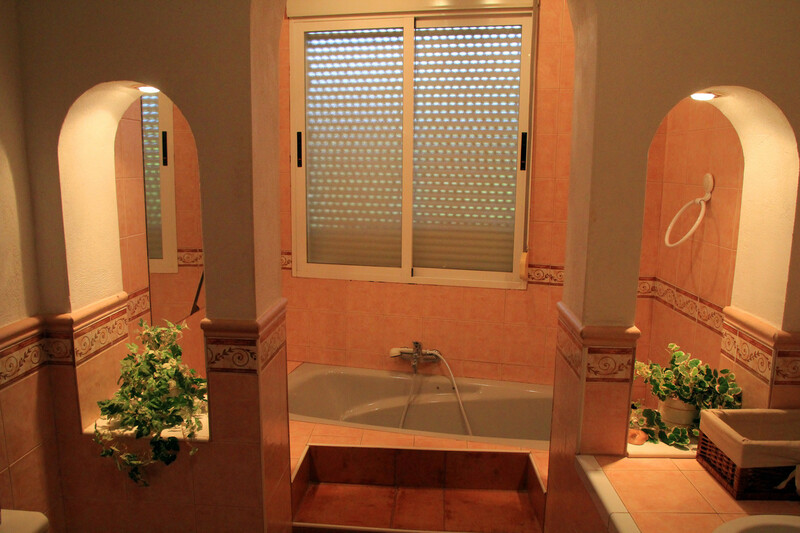 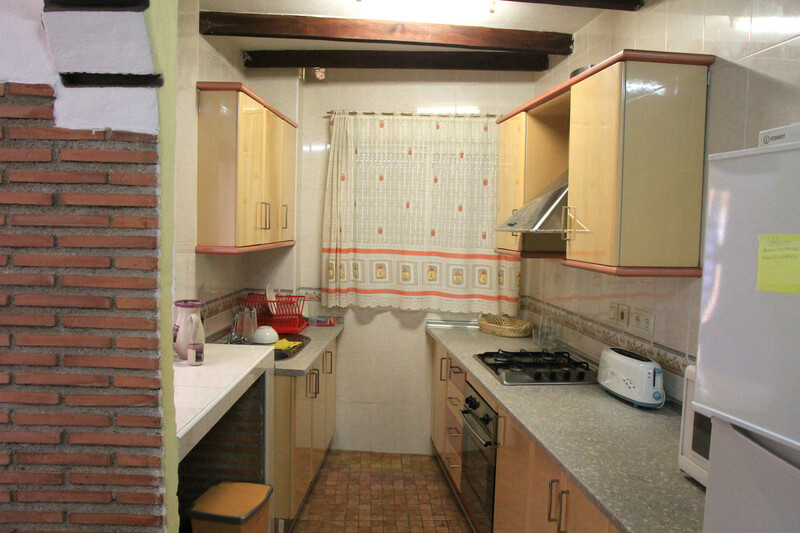 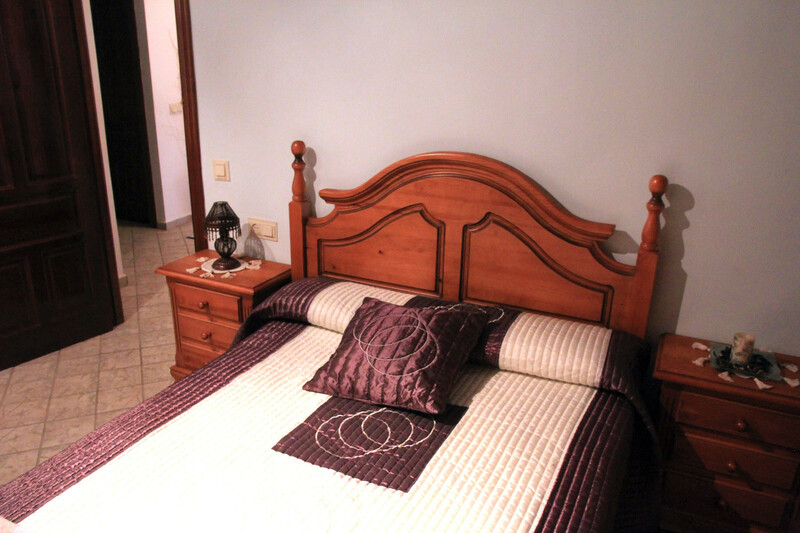 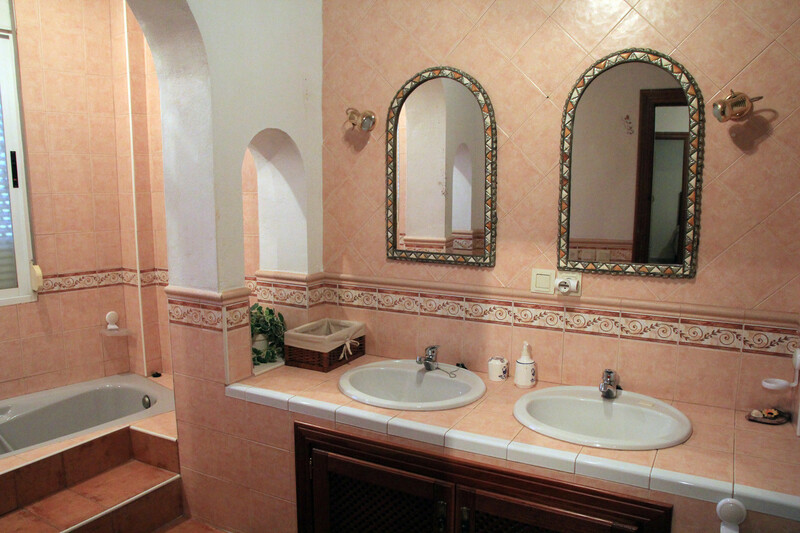 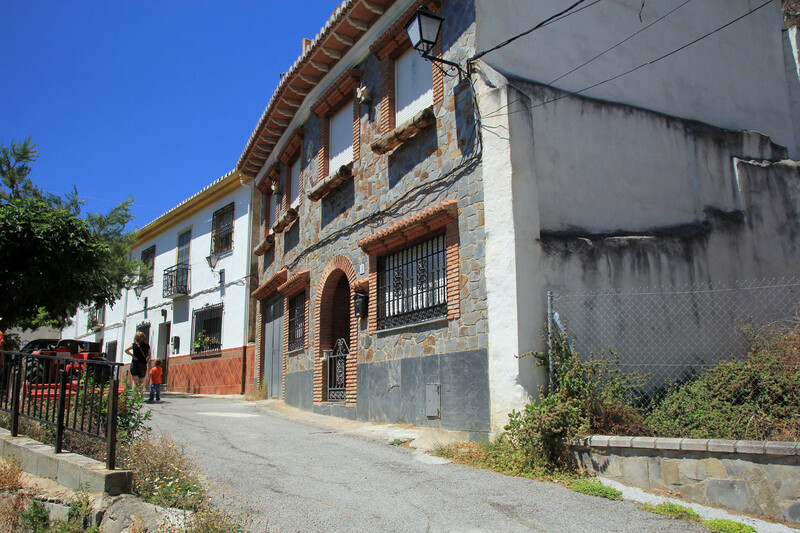 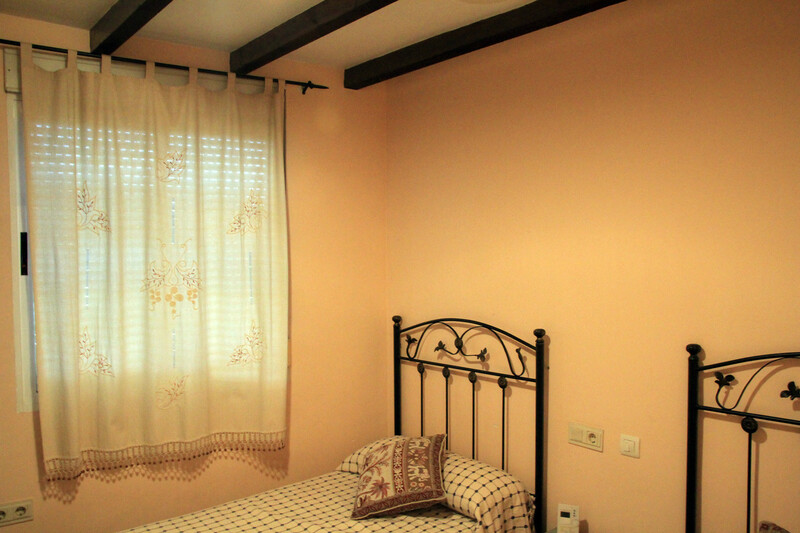 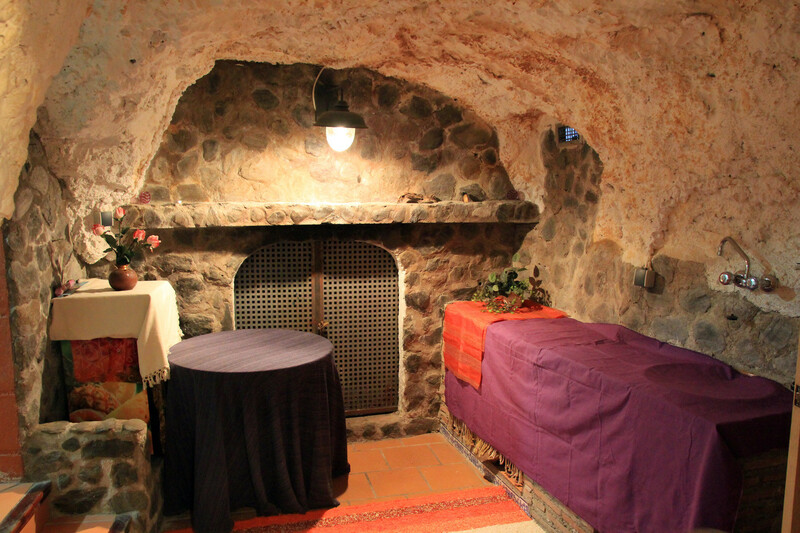 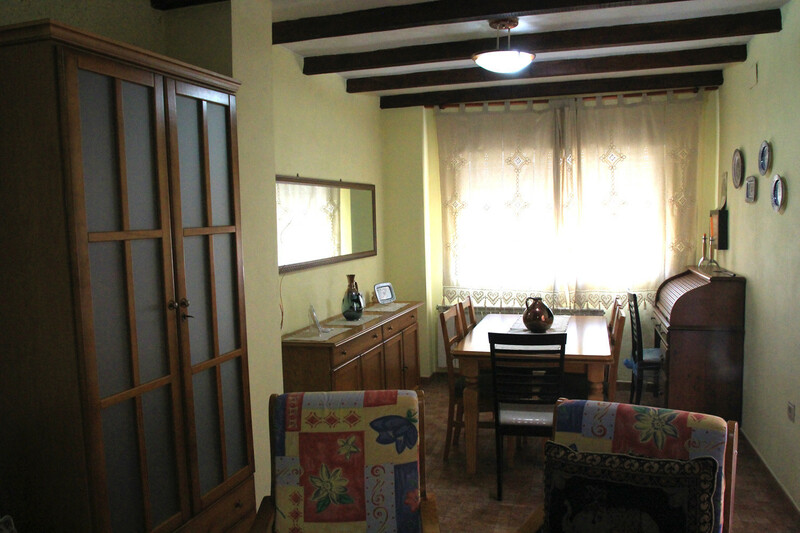 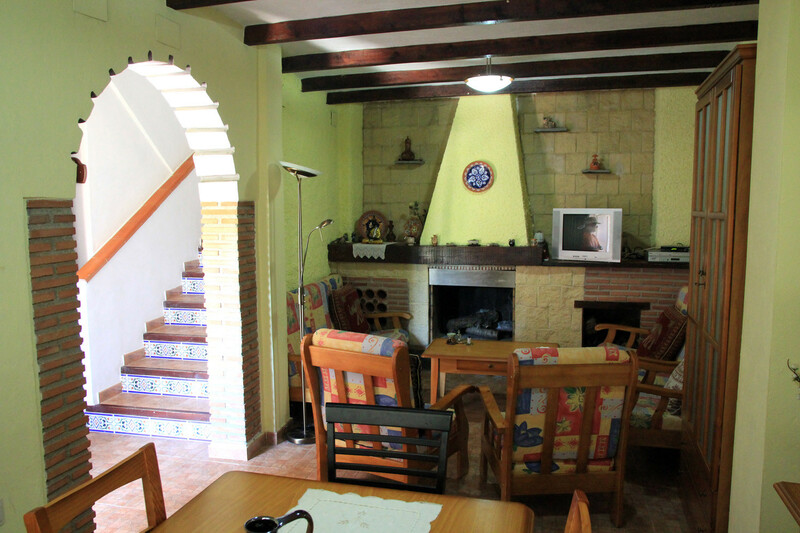 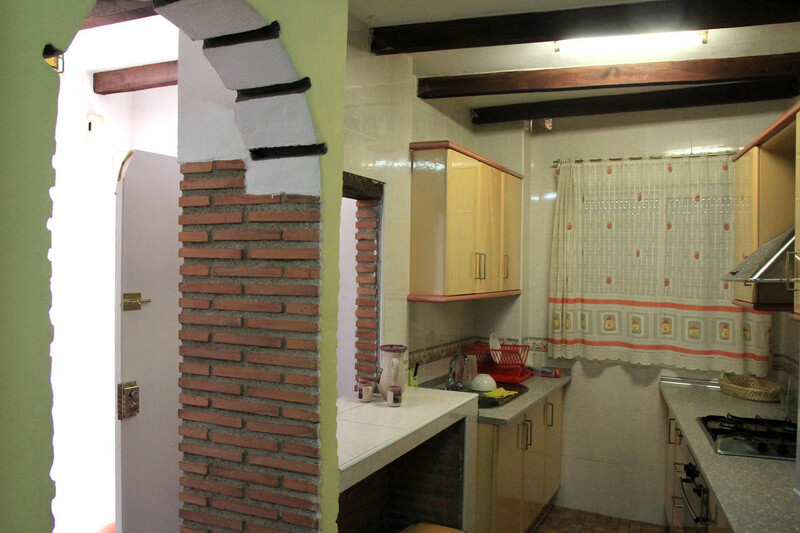 This country / cave house is situated close to Cozvíjar at a small street with just 5 houses. 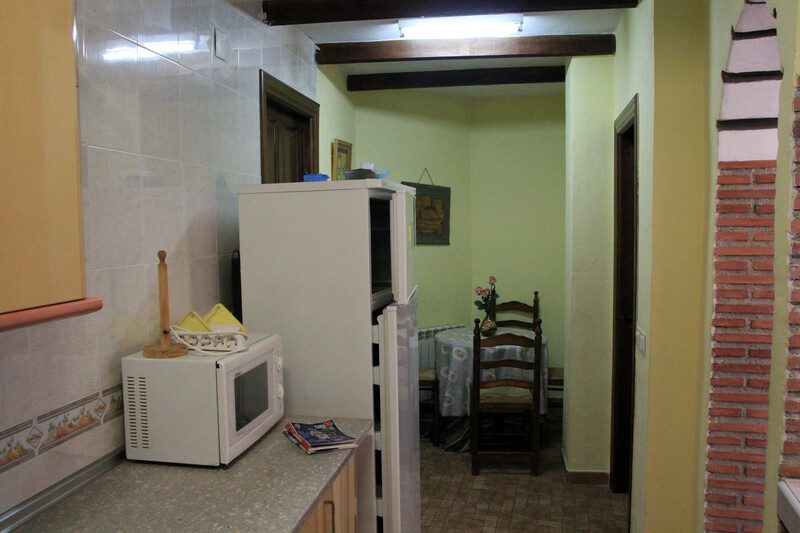 Ground floor: big living room with fire place, sofa, two arm chairs, TV, big dining table with 6 chairs, a fully equiped kitchen with a refrigerator, freezer, microwave, 4 pits stove, and toaster, ab eautiful bathroom with bath, two wash basins and a toilet. 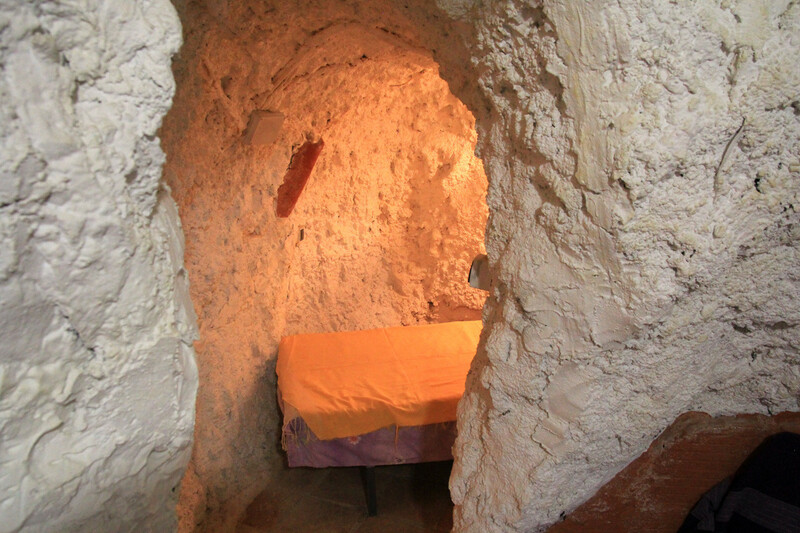 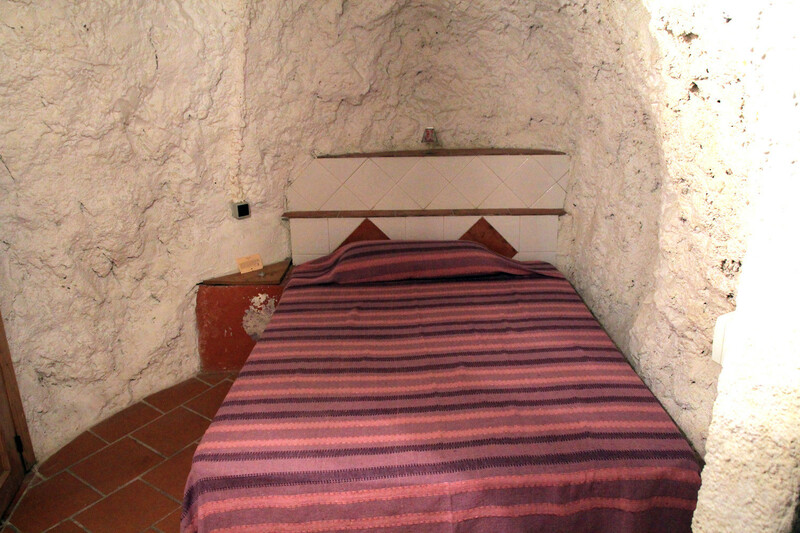 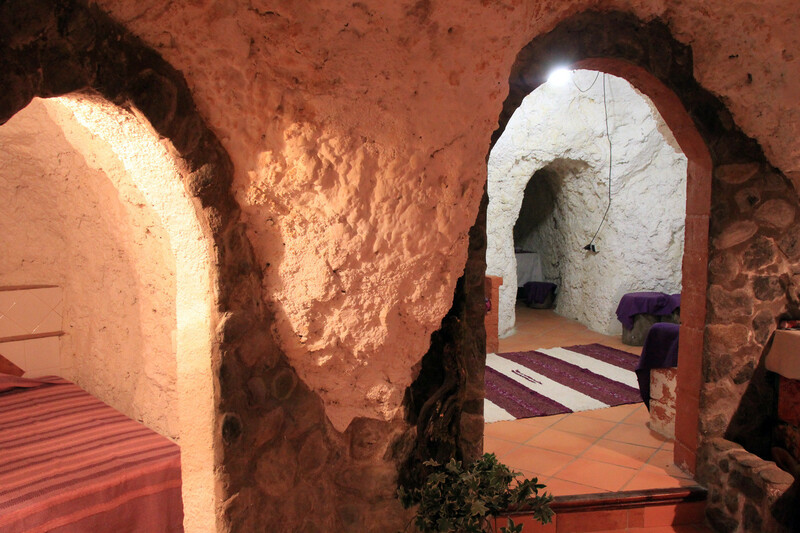 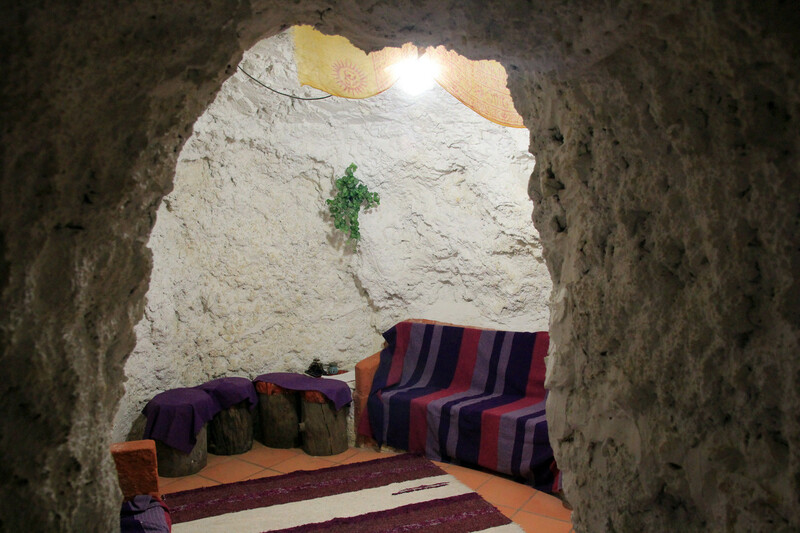 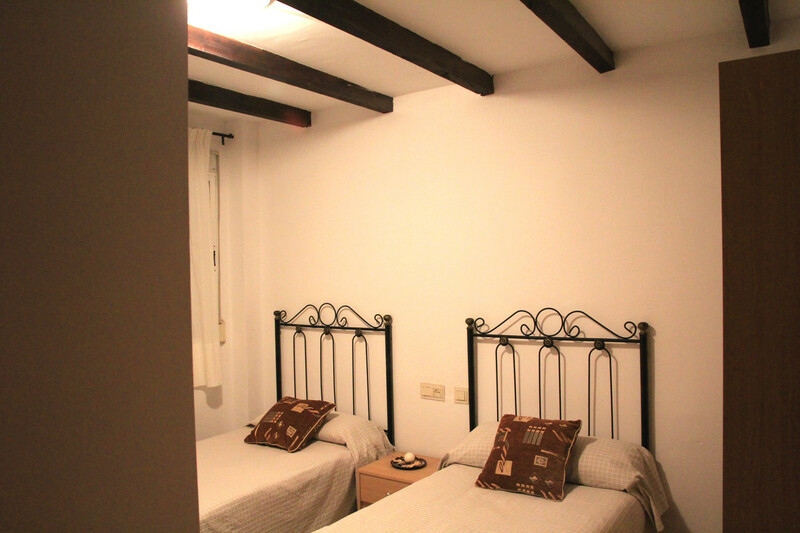 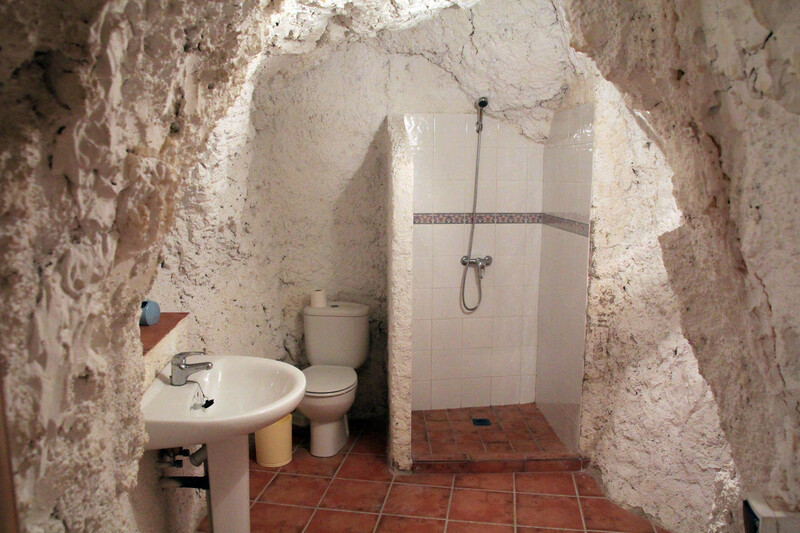 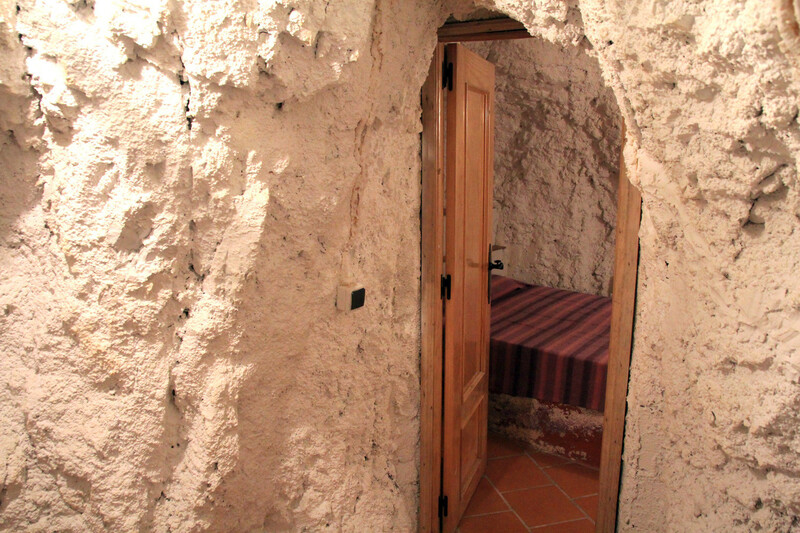 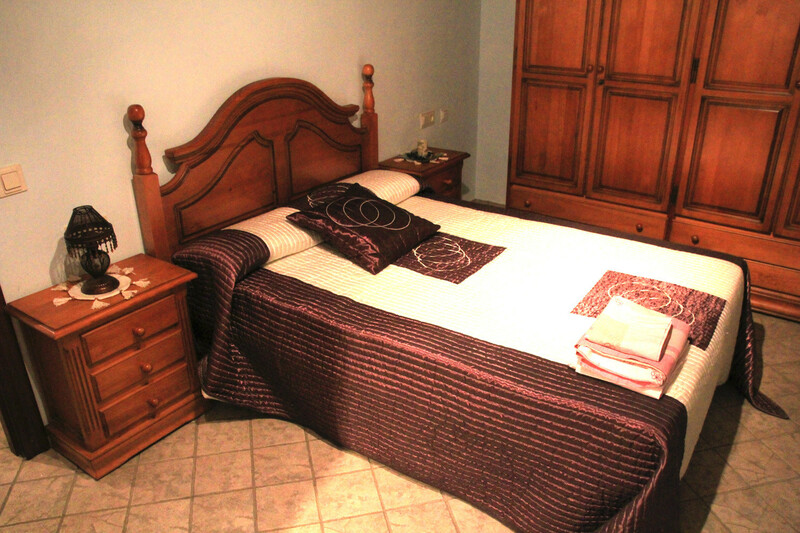 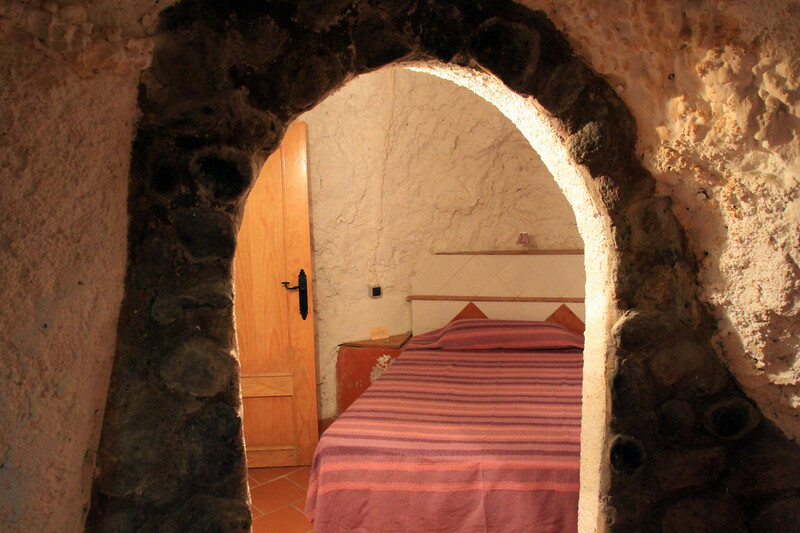 On the first floor: one double bedroom and two single bedrooms and the access to the cave. 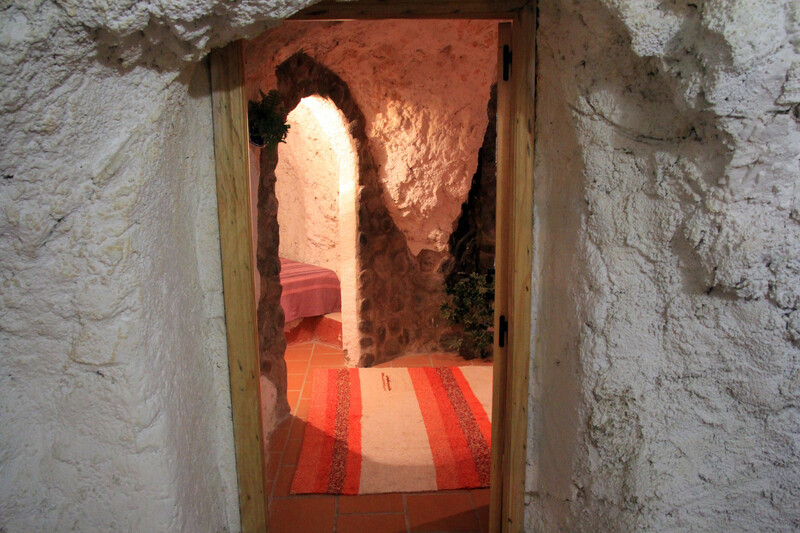 The cave has also three bedrooms, a bathroom with shower and wasbasin an it has the original rock wall and a living room with a fire place (this fire place cannot be used). 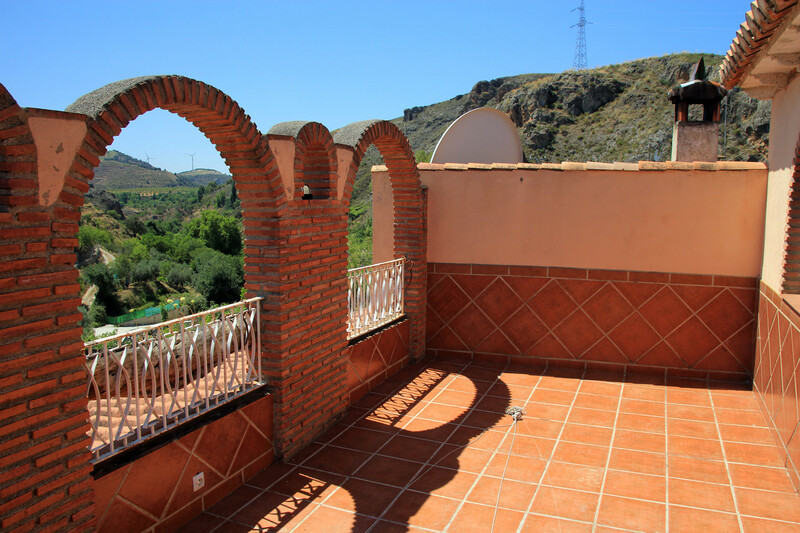 On the first floor you have also access to the roof terrace where you have a beautifull view on the valley. 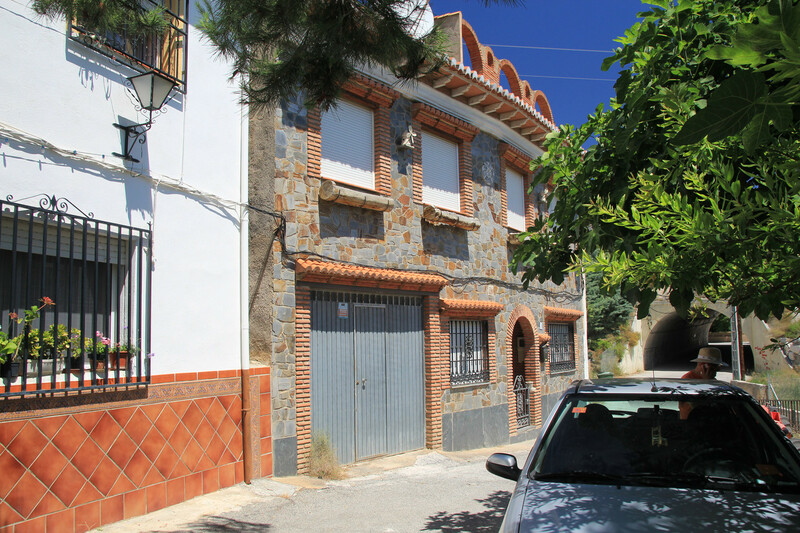 This house is very close situated to the highway A44 but despite the easy access you will hear no disturbing noise of the cars. 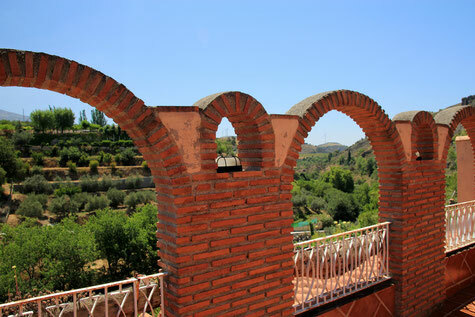 This place is an ideal base if you want to visit the Natural Parks Sierra Nevada and Sierras de Tejeda, Almijara y Alhama. Granada is only a 25 minute drive away even as the beaches of the Costa Troplical and the Alpujarra.